different analytics used in each categories to Extracting business or mission intelligence data from massive amount of data. Yes!!.. now we can have a Trigger on DDL Statements like Oracle does. Trigger function ( i.e function_name() ) would be called before execution of CREATE/ALTER/DROP command. Trigger function ( i.e function_name() ) would be called after execution  of CREATE/ALTER/DROP command. Trigger function ( i.e function_name() ) would be called Just before "ddl_command_end" event triggered. function_name : A normal pl/pgsql function with return type as event_trigger & it not needed to return any value. OUTPUT 2) trigger function will get called only ALTER and DROP, not for CREATE TABLE, so no messgae to display. 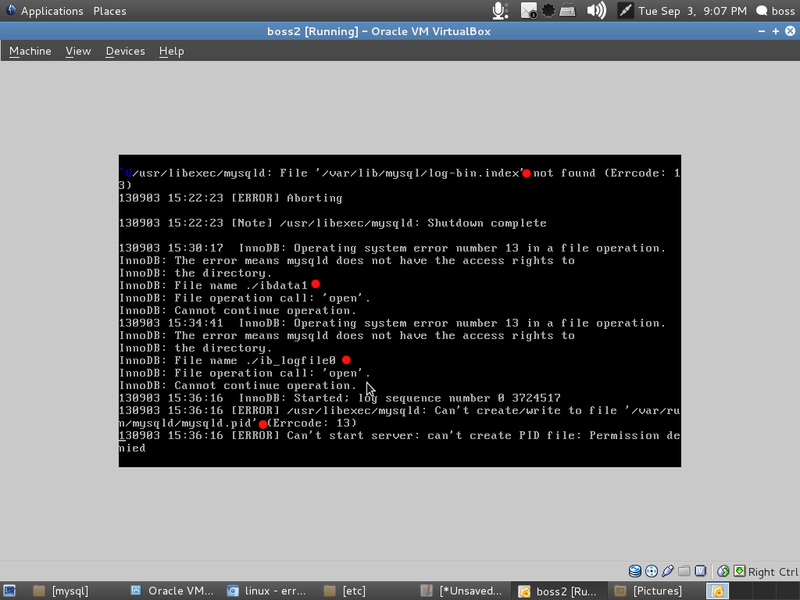 Application running in CentsOS. We tried to replicate the same in Debian/BOSS but wouldn't because some missing packages. so decided to go with Virtual Machine concept. When we boot the CentOS from Debian/BOSS, MySQL Failed to start. As we followed my error.log we managed to start the MySQL. got few error which was related to permission denied.